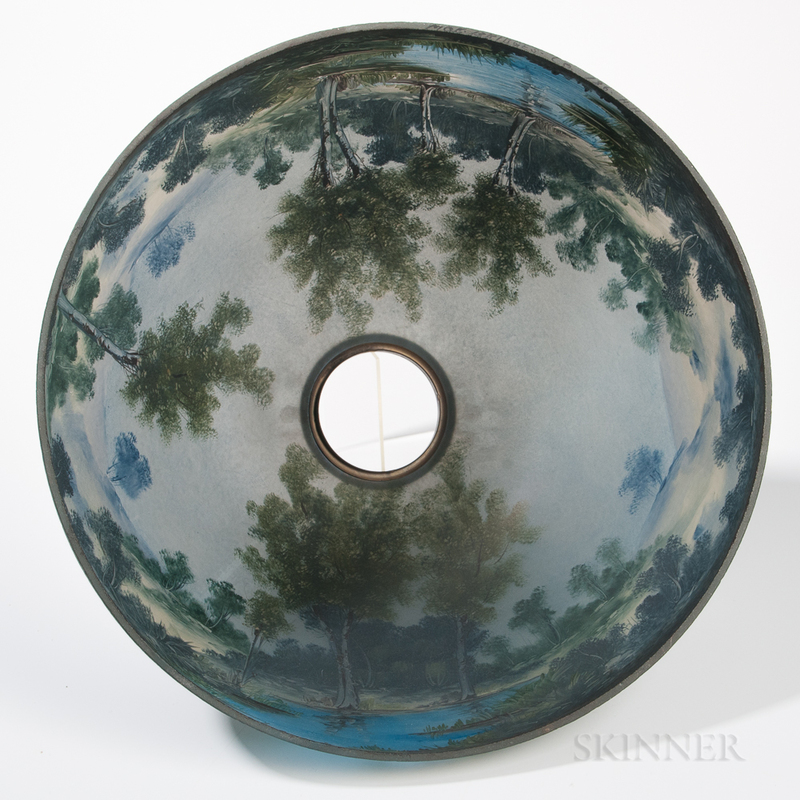 Moe-Bridges Company Reverse-painted Glass Shade with Patinated Bronze Base, Milwaukee, Wisconsin, c. 1925, a landscape with a stream, signed on rim "Moe-Bridges Co. 186 H.H.," ht. 7 3/4, dia. 18; the base an urn-form body with tall neck and two handles (loutrophoros) set on round base with paw feet, two sockets, unmarked, ht. 23 in.